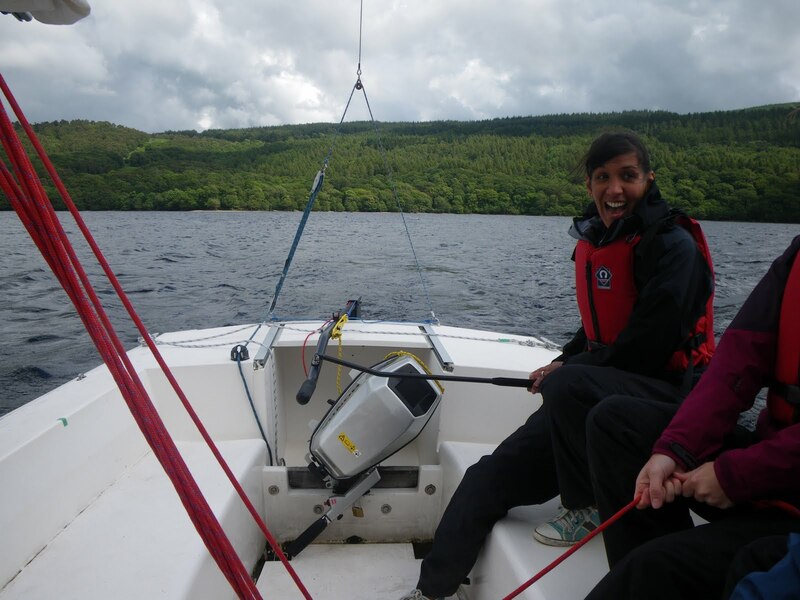 It’s not bad when your third day back to work after maternity leave consists of an afternoon Sailing on Coniston Water! Johan and I met up with Linda and Chris and no sooner than our buoyancy aids were on, we were into the Hawk and heading off across the lake with a pretty strong wind helping us on our way. 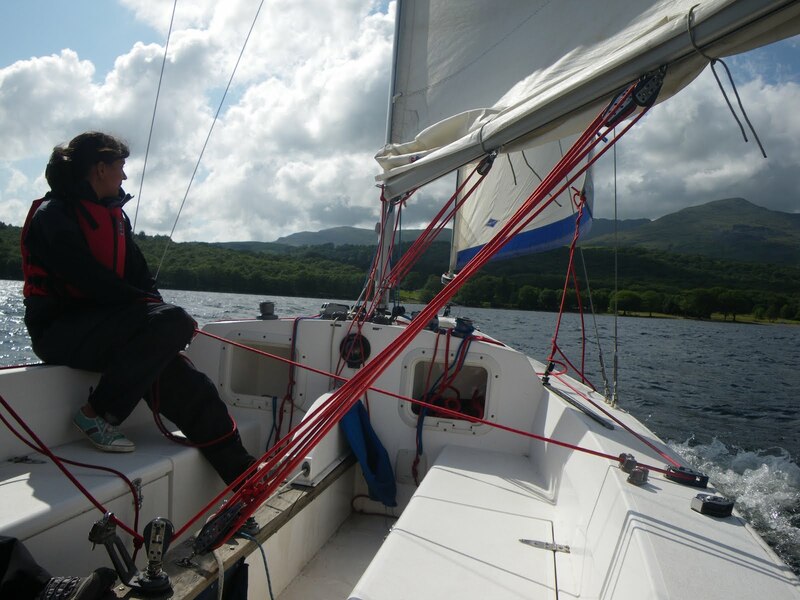 Although Linda, Chris and myself were all beginners, Johan quickly put us at ease and it was not long before we were in control of the the boat ourselves. 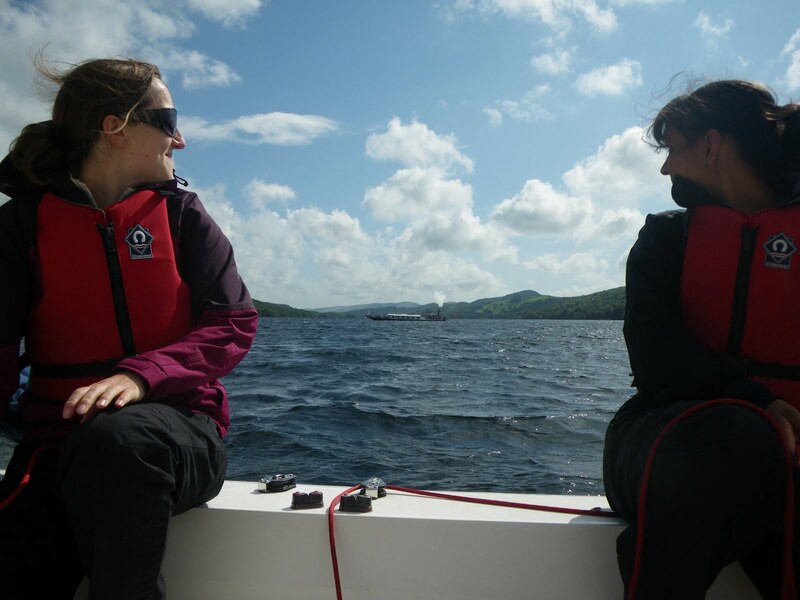 I think its safe to say we all enjoyed the thrill of tacking back and forth up the lake and leaning off the side of a speeding boat with the sun on our faces. 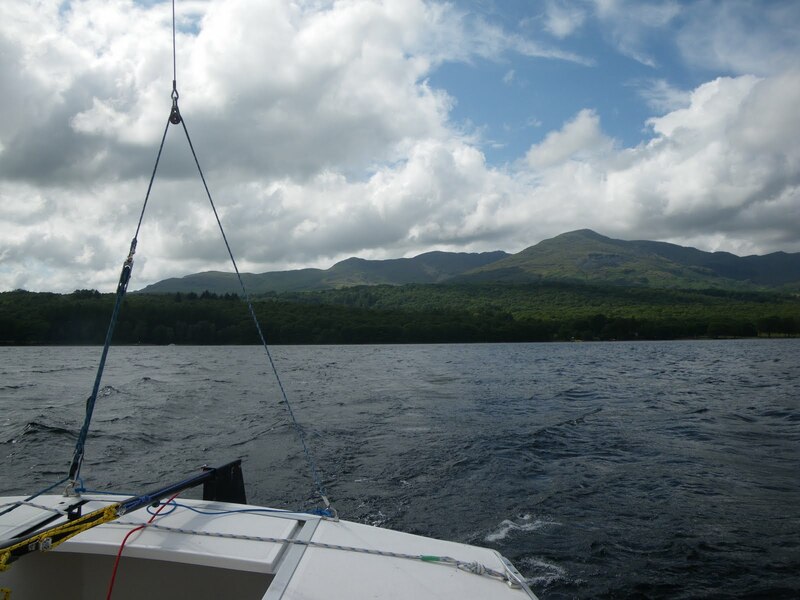 Sailing down the middle of the lake surrounded by the gorgeous Coniston fells was fantastic, and for Linda we hope it was a birthday experience to remember!